The U.S. State Department on Friday issued an expanded health alert for all of China amid reports some U.S. diplomats based in the country had experienced a mysterious malady that resembles a brain injury and has already affected U.S. personnel in Cuba. A previous statement in May only mentioned the southern Chinese city of Guangzhou as the location for the health alert, though it was sent to U.S. citizens throughout the country. 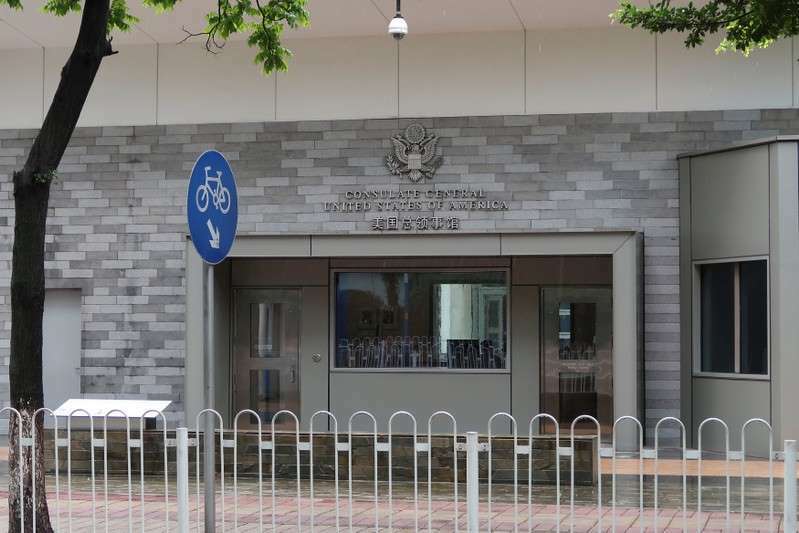 The State Department had confirmed earlier that one U.S. employee assigned to the consulate in Guangzhou had "suffered a medical incident", and that it had deployed a team to screen employees and family members there. On Wednesday the U.S. government said that it had brought a group of people from that consulate back to the United States for further evaluation of their symptoms, and that it was offering screening to anyone at the U.S. embassy in Beijing or other consulates in China who requested it. The United States also operates consulates in the mainland Chinese cities of Chengdu, Shanghai, Shenyang and Wuhan. The location of the health alert was changed to "countrywide" from Guangzhou in the updated statement sent by email. "The State Department received medical confirmation that a U.S. government employee in China suffered a medical incident consistent with what other U.S. government personnel experienced in Havana, Cuba," the statement said, reiterating comments made last month by Secretary of State Mike Pompeo. It warned of "unexplained physical symptoms or events, auditory or sensory phenomena", and said symptoms of the ailment included dizziness, headaches, tinnitus, fatigue, cognitive issues, visual problems, ear complaints and hearing loss, as well as difficulty sleeping. China has said that it thoroughly investigated the initial case reported by the United States and found no reasons or clues to explain it. Chinese Foreign Ministry spokeswoman Hua Chunying said on Thursday that as far as she was aware the Chinese government had not had any formal communication with U.S. officials on any new cases. China's state-run Global Times tabloid called the situation at the consulate "very strange". "Practically all Chinese people do not believe that this country's official organizations would carry out such sonic attacks against U.S. diplomats. This does not fit with China's basic concept and principles of diplomacy, and is inconceivable," the Global Times said in an editorial. It also said people found it hard to believe that another foreign country could carry out such an attack in China, escape China's monitoring, and leave no trace. Last year, 24 U.S. government employees and family members in Cuba displayed the symptoms, which were similar to those related to concussion and mild traumatic brain injury, according to the State Department. The illnesses among the American diplomats stationed in Havana heightened tension between the old Cold War foes. Pompeo released a statement on Tuesday saying the department established a task force last month "to direct a multi-agency response to the unexplained health incidents".